Day 248 - These are what my girls call their "funny faces." Day 249 - Somehow this little lady is still opening birthday presents in September (her birthday was August 19th)! Day 250 - Derek Jeter Day and 24 weeks (and 2 days)! Paisley is growing! Day 251 - Baby You Can Drive My Car! Day 253 - Lacie's very first day of dance class! This is all she has been able to talk about! Day 254 - an afternoon walk with Nana! Day 255 - Hot Chocolate with a Pumpkin Marshmallow! Day 256 - John and I had a wedding to attend and Paisley came along too! 25 weeks already! Day 257 - it's finally feeling like fall and in the mornings we definitely need our hoodies! Day 258 - some of the Daddy/Daughter artwork I found around the neighborhood...plus I can still see my feet! Day 259 - haha this is the difference between what my girls look like when they wake up on the morning! 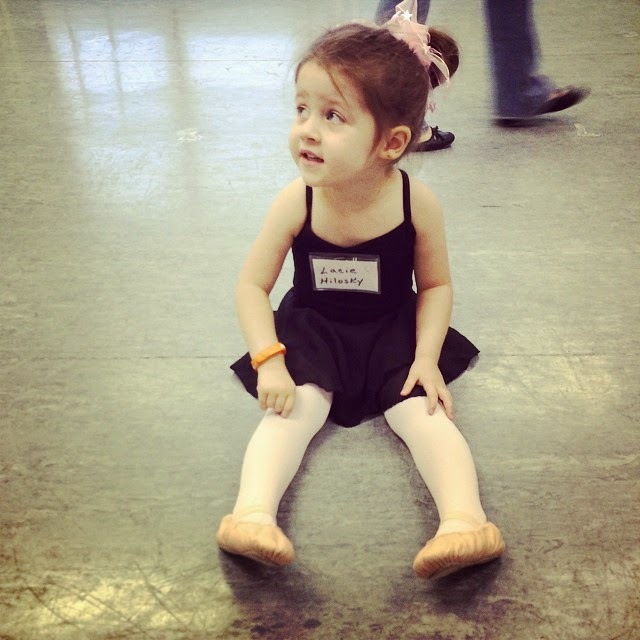 Day 260 - my tiny dancer at her second class! 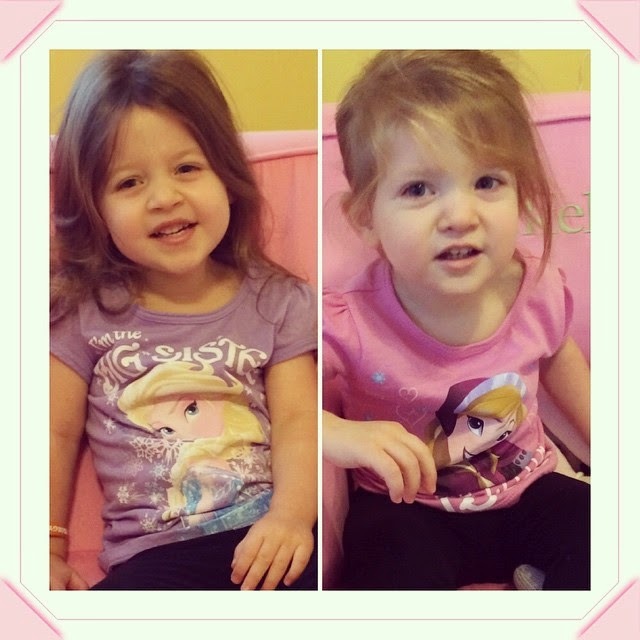 Day 261 - Wearing their Frozen sisters shirts!